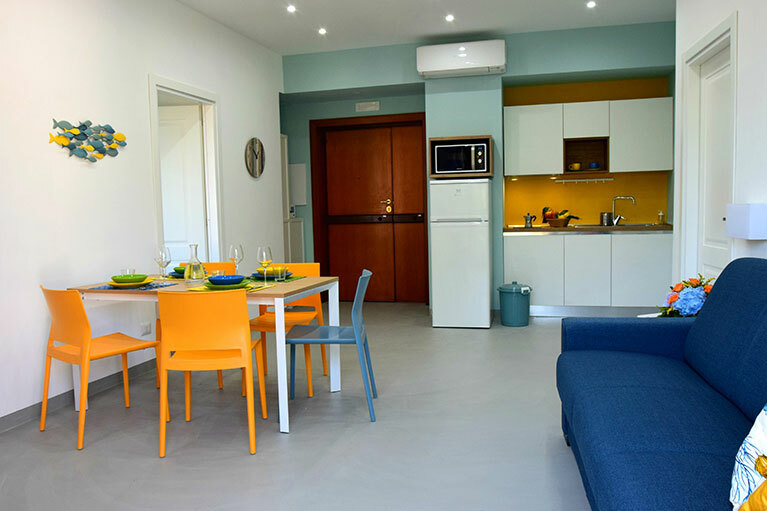 The Sorrento Central and Sea View Flats are two very large and airy self-catering holiday apartments in the seaside resort town of Sorrento near Naples in the south of Italy. 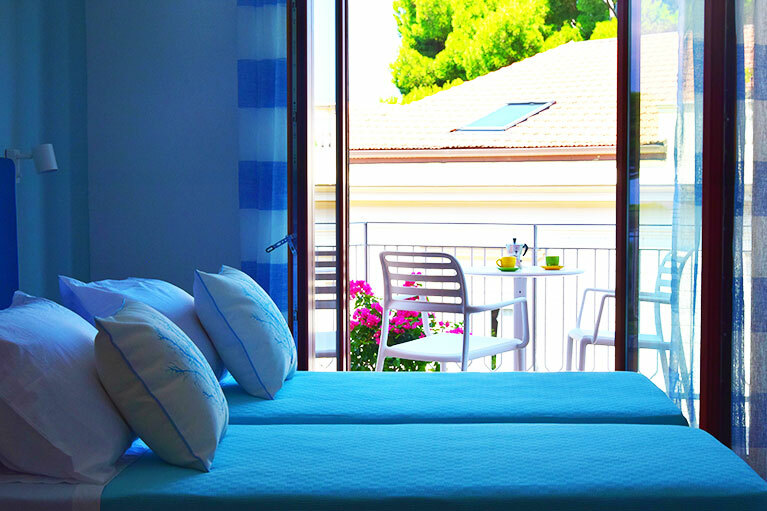 Both apartments are located in the centre of town, close to the Marina Piccola and offer a stupendous view of the bay and the Vesuvio. Each apartment has two large double bedrooms & a double sofa bed in the living room and two refreshing, brightly tiled and spacious bathrooms, as well as a kitchenette and dining area and living room space. Wi-fi is included in the rate, as is climate control and satellite TV. Check in/out is flexible so please let us know when booking here on our official website. For an extra supplement we can organise airport transfers, daily cleaning and also bike and car rental.